It’s not often that a winery goes up for sale in Norway, but this past month, that’s exactly what happened. And not just any winery: Lerkåsa Vineyards, the reportedly most northern vineyard in the world, was just sold to a new owner. 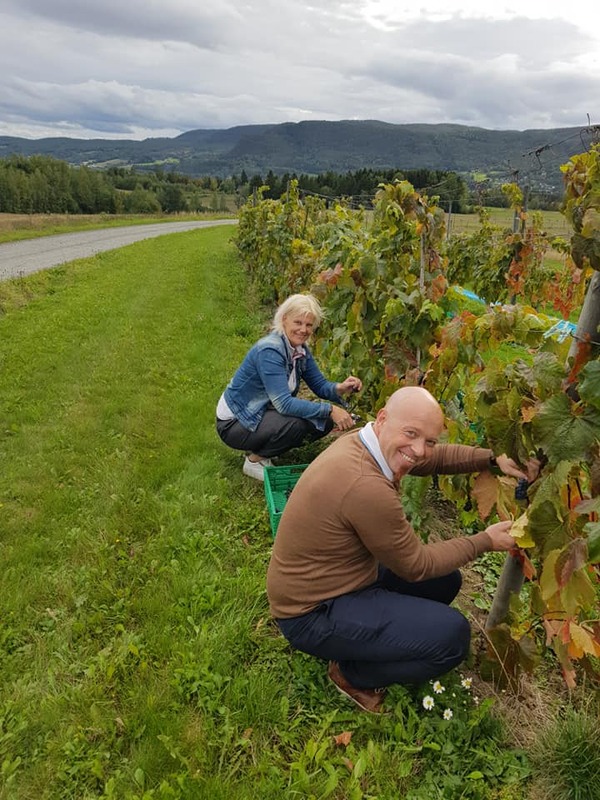 Located in Telemark, about 150 km from Norway’s capital, Oslo, the vineyard was created by Joar Sættem and his wife, Wenche Hvattum back in 2008. What started as a small project (they only planted 400 vines in the first year!) turned into a quest to see which varieties could withstand the cold Norwegian winters. “We have experimented with different grape varieties that can withstand a little cold. Some have frozen to death, but we have found two usable varieties,” noted Joar. Out of 20 possible varieties, only three were successful: One variety Hasanski Sladki, came from Russia, the other, Solaris, was developed in Germany, and a third, Rondo from France. Although most people think of wineries that are in warm, Mediterranean climates such as Napa Valley or Italy, Norway has its own secret. Gvarv, the city where Lerkåsa Vineyards is located, has a unique microclimate which makes it one of the warmest places in Norway. Besides wine, the couple also grows a few varieties of fruit and rent out their estate as a bed and breakfast. The vineyard was listed for sale for 6,750,000 NOK (about $830,000 USD), but the final selling price was not mentioned. This price includes 15 acres of fertile vineyards, a national cuisine restaurant, several cottages, and three gigantic wine barrels that serve as overnight accommodation! “We hope there are more crazy people like us out there, to move the boundaries,” Saettem said. So, you might be wondering, who are the new owners? 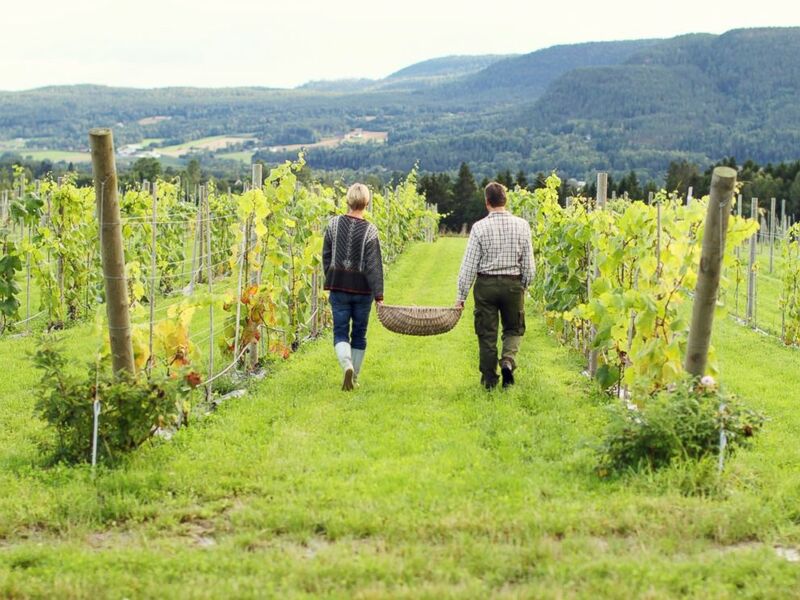 Lill and Odd Wollberg, from Årnes, about 60 km from Oslo, are the new owners of Lerkåsa Vineyards. They will move up to Gvar in the fall to work on the winery full-time, but for now, they’re practicing and training for the new harvest – check out the photos above. Congratulations to Lill and Odd, and cheers to your new vineyard! We can’t wait to see (and try) 2019’s wines! Luda is originally from a tiny city in Ukraine, but moved to San Francisco, California, when she was a child and has lived there for 17+ years. Her interests include traveling, learning about (and trying food from) different countries, hiking, and exploring her city.